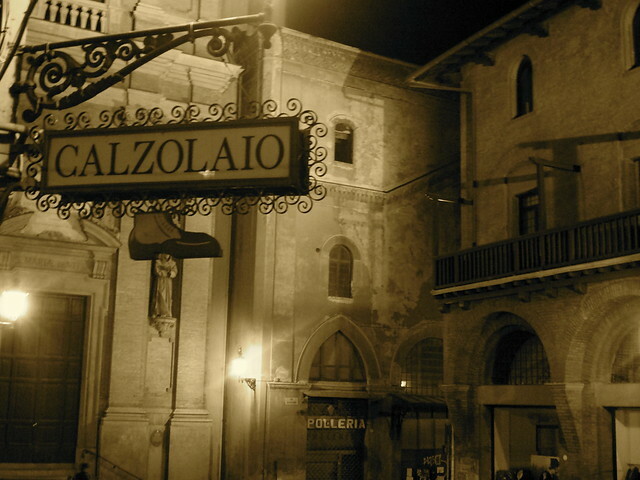 Bologna is a city still full of cobblestone streets, ancient churches and medieval towers. It is full of deep history and a great wealth of education lies behind this city. Even though the region around Bologna has seen many wars, bombings and rebellions, the city center of has remained preserved and intact. Bologna is known as one of Italy’s hippest cities due to its cutting edge stance in Italian culture. The streets are lined with pricey restaurants, eloquent boutiques and lots of high fashion. This is a city for anyone who wants to experience the cosmopolitan life of Italy. It is progressive, ancient and quiet eccentric all in one. In recent years, Bologna’s secret has crept out and an influx of tourists and Italians alike are flocking to this city to experience one of Italy’s best kept secrets. You too should make a point in your travels to visit this interesting progressive Italian city. Basilica Di San Petronio: This cathedral was constructed in the 14th Century and took over 300 years to be completed. Actually, the interesting thing about this construction process is that it is still in progress which you can see in the missing wings of the transept and the façade is only halfway decorated. At its inception, the builder expected to cover the pillars with marble but even this finishing touch still remains incomplete. The inside of the cathedral is enormous but not as big as some would have liked it to be. You can see the original columns outside its walls which was the plan from the beginning. The size had to be cut down because of the university being built next door. You can visit the museum inside the church and see artwork and a rendition of what the building was suppose to look like. This church is one of the pride and joys of the city so definitely take time to check it out. Le Due Torri: These two towers are mentioned in The Inferno, by Dante. They are beautifully decorated with mermaids and the God of the Sea. They also portray the god Neptune upon the towers. They had been used for centuries as a public bathing place. Le Due Torri are located in Piazza Nettuno, next to the Palazzo Re Enzo. Santo Stefano: This basilica is actually four to seven churches connected do not share the same authority. The first building built on this plot of land was a pagan temple built to Iside but was replaced by a Catholic church in the 8th Century. You will see the 14th Century nativity scene constructed in this basilica. Many Catholics journey at Christmas to this church to show their children the baby Jesus. You can see the Courtyard of Pilate which was given the name after the basin in which Pontius Pilate washed his hands of Christ’s blood. Take time to visit the museum which contains different religious and medieval works. Another item of interest you may want to visit is the church’s shop where you can buy jam, honey or soap made by the monks of the church. This is located at the Piazza Santo Stefano. Università Di Bologna: This is a great afternoon trip to take your time and soak in the history and culture of the University. The University is so big that it’s spread in various buildings in the area around Via Zamboni, some dating back to the 15th Century. Others were built a few centuries later so there is quiet the mixture of architecture and design. It is filled with what most college towns are filled with: cafés, bookstores, low end restaurants and independent shops selling trendy attire. If you’re interested in getting some first-hand accounts you can stroll into the University’s cafeteria and converse with the students. This will really give you a good account of everyday life in Bologna. The University also has multiple museums you can visit with an array of interests. And don’t forget to take your time discovering all the little touches and variations of the buildings. San Domenico: You can visit the tomb of Saint Dominic, who died in 1221, at the sixth chapel on the right of this church. Multiple artists participated in decorating this church so it is a mix of various interpretations and impression. One of the most famous pieces of art in the church is a sculpture by Michelangelo. He carved an angel for the church at the very beginning of his career. You can find this church in the University area at Via Delle Belle Arti 56. Basilica Di San Luca: You can either take your time walking (about an hour) or take a 10 minute drive from Porta Saragozza to the Basilica of Saint Luca. The entire road way is covered by 666 arches leading up to the magnificent peak of the church. It is an enjoying and relaxing walk (or drive). The best time of year to experience this is the fall because the colored leaves fill the sky and tell you their story as you ascend. The church itself is lovely and provides an incredible view from its doors. This will be one part of your trip to Bologna you won’t forget. Bologna is one city you will want to experience, even if it’s for a day or two. You don’t need a lot of time for sightseeing but if you are looking for a break from the busy city streets, let’s say of Rome, then this can be your retreat on your grand tour of Italy. Take time to explore all the districts of the city, including its great night life. Prepare beforehand by doing your research and getting a map or two of the city. This way you’ll know exactly what you are going to do before arriving so you won’t waste any time. Enjoy and remember to eat it up!